Dramatically elegant regal beasts, articulated to attract enviable attention. 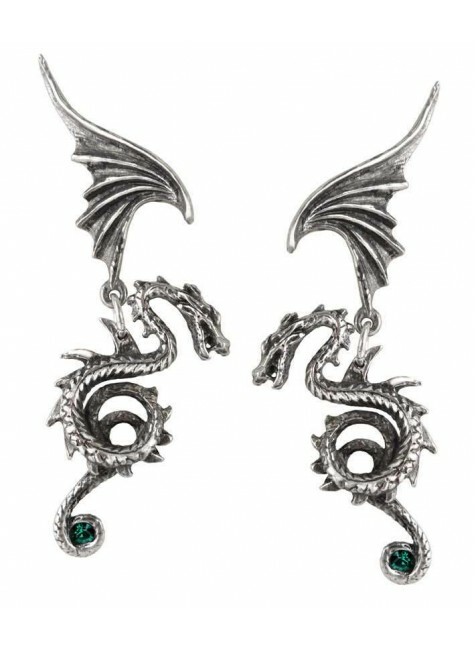 Emerald Swarvoski crystals are curled in the tails of these extraordinary beasts. Pair of lovely pewter earrings have surgical steel posts. Item Number: AG-E286 | Approximate Size (Inches): 0.50 wide x 0.25 deep x 1.50 high | Approximate Shipping Weight: 0.25 lbs.